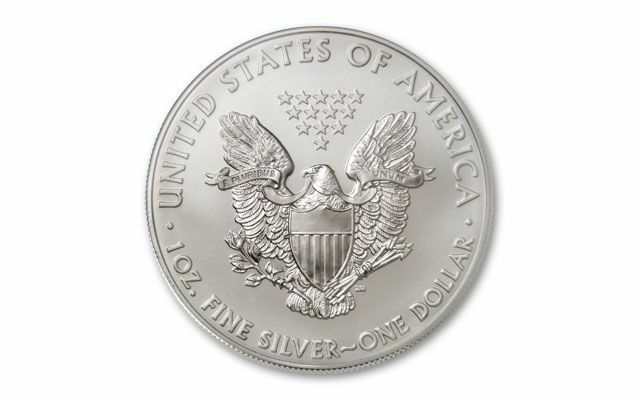 America’s finest silver is displayed in all its glory with the 2006 American Eagle Silver Dollar. Every year savvy buyers stash these away. Each is struck in one ounce of 99.9% fine silver and is in affordable Brilliant Uncirculated (BU) condition. 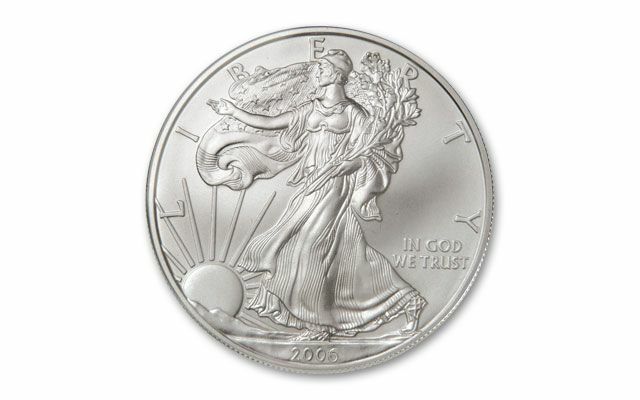 The 2006 Silver Eagle was the 20th anniversary of the American Eagle Bullion Program, a program launched in 1986 by the U.S. Government as a convenient way for investors to add a small amount of silver, gold and platinum to their portfolios. When the 2006 Silver American Eagles were being minted, the price of silver was sharply higher, triggering a spike in silver bullion coin sales. The final bullion mintage for 2006 topped 10 million, only the third time in the Silver Eagle's long history to achieve this high water mark. 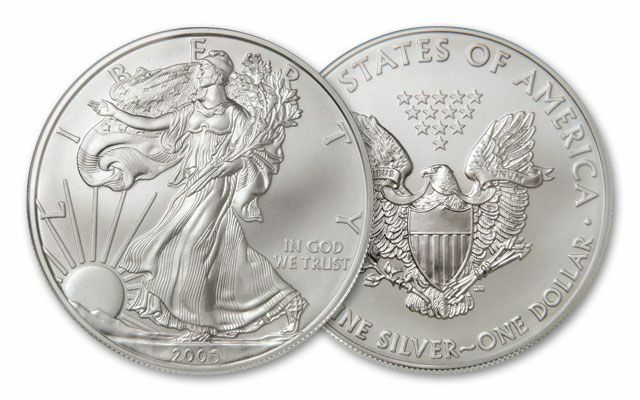 Because of the increased demand in 2006, the U.S. Mint released several versions of American Silver Eagles, including the collectible 2006-W Uncirculated Silver Eagle, also known as the "Burnished Uncirculated" Silver Eagle. Hand-loaded into the coining press and struck on specially burnished blanks, the 2006-W Silver Eagle bears the "W" mint mark, signifying that it came from the West Point Mint. The 2006 Proof Silver Eagle was also issued, adding a spectacularly beautiful proof coin to an already highly attractive series. Topping off the special year's offerings was the 20th Anniversary Silver Eagle set, which contained one 2006 Silver Eagle proof, one 2006-W Uncirculated Silver Eagle, and one reverse proof 2006 Silver Eagle, a strikingly unusual coin that has a frosted background and mirrored raised surfaces—the opposite of the standard Silver Eagle proof. With a production limited at 250,000, the sets were priced at $100 and sold out within two weeks. No collection of American Silver Eagles is complete without a coin from the 20th anniversary year. The overall average price of silver during 2006 was $11.55 per ounce.